Tonight! The Big Voice: God Or Merman? - Joe.My.God. Tonight! 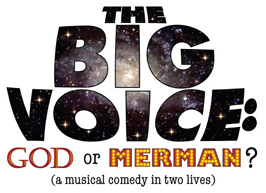 The Big Voice: God Or Merman? Here’s a reminder of tonight’s gypsy performance of the award winning musical, The Big Voice: God Or Merman, which is free to JMG readers: 10:30 PM, The Actor’s Temple, 339 W.47th Street (btwn 8th & 9th).